H-Farm has a strong track record supporting innovation and creativity in European start-ups. The company focuses on skills development, new approaches to education and digital transformation. 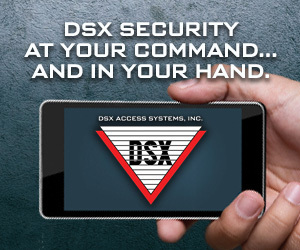 Its most recent transformation project involved an access control system — for its own offices. H-Farm needed a solution to streamline access management for lots of people at a growing portfolio of sites and buildings. H-Farm experiences rapid turnover of users, both because new businesses join regularly and because they organise up to 300 events every year. 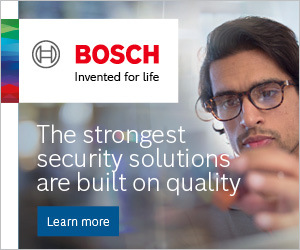 Any new locks would need to extend an existing Axis system, but without adding complexity for day-to-day administration. To meet their needs, H-Farm selected a combination of Aperio® handles, security locks and escutcheons, each easy to retrofit, so day-to-day work at their busy offices would not be disrupted by intrusive installation. So far, 40 Aperio® Online H100 wireless door handles, 6 Aperio® Online L100 wireless locks and 4 Aperio® Online E100 wireless escutcheons have been fitted across multiple H-Farm locations in northern Italy. All Aperio® battery-powered locks are wireless, so no ugly cabling runs to H-Farm’s doors. Because Aperio® offers wide range of battery-powered devices, H-Farm can choose the precise wireless lock for every application: the L100 lock protects doors with high security demands; robust H100 handles suit interior doors with high traffic. H-Farm interior doors are mostly secured with the new Aperio® H100 wireless handle — Intersec’s Access Control Product of the Year in 2018. The Aperio® H100 packs the flexibility and affordability of Aperio® wireless access control into a slim, cleverly designed door handle. Its standard battery slots inside the handle, ensuring a minimal footprint. ASSA ABLOY’s device design team incorporated electronics into the handle lever on the outside of the door, without jeopardizing security. Design has become a major feature of the H100’s appeal. H-Farm wanted devices to blend with the contemporary architecture of their new €101m H-Campus development. “Aperio® wireless access control hardware is solid, nice looking and perfectly fits our environment — solving our access problem,” says Alberto Aldrigo at H-Farm. The H100 and other Aperio® devices are easy to install; for the H100, basically two screws complete the job. Going forward, this will enable H-Farm to quickly bring new buildings into the same access system as they expand to fresh locations. The H100 fits around 90% of target doors with two main models: one for left-handled doors, the other right-handed. 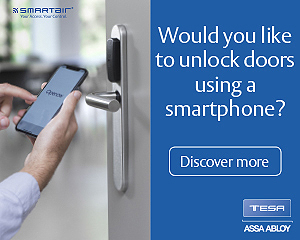 “The Aperio® H100 also enables customers to add more doors to their access control solution because the cost per door is lower,” says Tania Amico, Aperio® Sales Manager at ASSA ABLOY Italy. The open architecture underpinning Aperio® devices enabled easy online integration with their existing Axis system via PRYSM AppControl. Remote operation from a single, central software interface is seamless, which makes administering the system easy. An Aperio® RS-485 Hub coordinates up to 8 Aperio® locks within a typical range of 15 to 25 meters, communicating with the admin system via the powerful AXIS A1001 IP Network Controller. One AXIS A1001 Door Controller can manage one wired door and one Aperio® hub, up to 9 doors per hub. AES 128-bit encryption ensures communication between lock and system is secure. Online Aperio® integration gives facility managers real-time status information about their premises. Aperio® locks are wireless, so there was no expensive or time-consuming cabling. The AXIS A1001 uses Power over Ethernet (PoE), which eliminates the need for power cables to the controllers, too. If needs change at a facility — perhaps H-Farm managers want to control access to more site doors, or bring entirely new premises into their access system — it’s quick, efficient and easy for an installer to fit Aperio® locks and integrate the doors with the AXIS Entry Manager control panel.